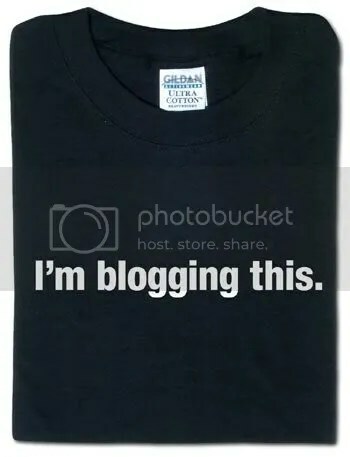 To Be Or Not To Blog? This is an opportunity for me to take a short victory lap (because I hate to run) over a personal accomplishment for The Domino Theory. Based in no small part from the higher profile given to my blog post review of Fruitvale Station being featured on the Word Press Freshly Pressed page, I rocketed to 500 “follows” in three months. What really blows my mind is I’ve been grinding away at this blog since 2008 and I didn’t get to 100 Follows until June of this year. What’s really been a surprise is it hasn’t stopped. At the rate the follows have been coming I may hit 600 before Thanksgiving and that is something to be thankful for. Fame, if not necessarily fortune at long last! Yay! You like me! You really like me! But seriously, folks. I can’t individually thank every one who has subscribed to my blog. I am truly touched by the vote of confidence because everyone I know who does this has those moments where they get that sneaking sensation they are only talking to themselves. Well, if I am I hope the conversation is at least interesting. I’m not exactly sure where I’m going to go next with this blogging thing. While I’m very good at saying precisely what I think about Ted Cruz, Kanye and Kim or bad jazz, I would really like to transition to more serious, less frivolous, subjects. I think of myself as a good interviewer (though I hate transcribing interviews) and next year I’m going to get back to doing more of them. If I want to raise the profile of The Domino Theory one way to do it is by talking with people I want to know more about because nobody else seems to be talking to them for me. Journalism as I know it is in a state of flux. Anyone who tells you they know what happens next is lying to you and themselves. What is known is the readership that faithfully followed newspapers, magazines and print is gone and they aren’t coming back. They are accessing information and entertainment on handheld devices, on their phones, and via other means that doesn’t depend on dead trees to get the point across. Even the best blogs can’t come close to what the Washington Post, TIME or Newsweek did when they were required reading. Blogging is not the first draft of history. It’s the immediate reaction to history as its made. I know for a fact a lot of trained journalists absolutely despise bloggers and it doesn’t matter how polished or professional the prose and the presentation is. They will never consider it a legit option to classic print, radio and television news media. I don’t either. Not yet anyway. I’m not a blogger trying to create journalism. I’m a journalist who blogs and this is still very much a work in progress, but I’m still excited by the possibilities. If you gave me a million dollars and told me, “Go make some journalism” I wouldn’t start a newspaper. I’d create a blog. Since I have one already maybe the best bet is to keep trying to make it better and if it becomes something more like journalism and something less like blogging, that’s not a bad thing. This is as much an experiment as it an experience. Thanks again for your support. Going forward I hope to give you even better reasons to continue doing so. “Blogging is not the first draft of history. It’s the immediate reaction to history as its made.” That’s very true Jeff, but you do it so well. Congratulations on hitting the big 500. Your blog is AWESOME. I went to see Fruitvale and Gravity just because you recommended them lol. Your political recaps are always dead on, and so are your music reviews. The variety of topics you cover is what keeps me reading. Great job. Thanks, Shannyn. I sincerely appreciate the props. It keeps me going when I wonder why I should. When I finally get the 12 Years A Slave review up you may change your mind about following my recommendation. This one is a call you’ll have to make for yourself. Jeff, I’ve already seen 12 years, I’ll be curious how your opinion compares to mine. I’m blogging about the movie tomorrow. The best thing about an opinion is that we all get to have one lol.